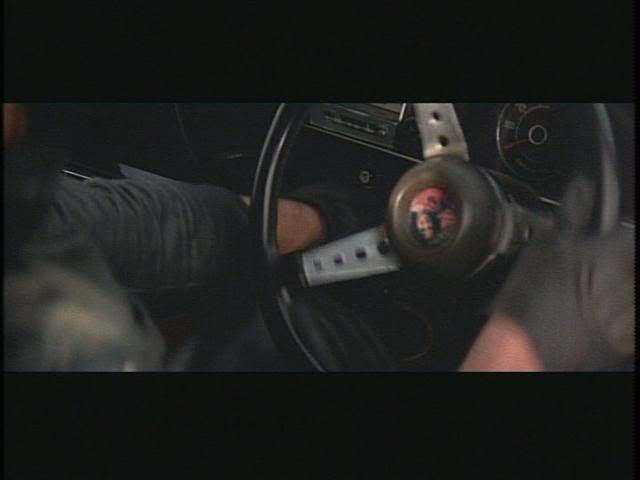 IMCDb.org: 1973 Ford Falcon GT [XB] in "Mad Max, 1979"
1973 Ford Falcon Coupé XB GT V8 351 c.i. Vu le faible budget je doute que lorsqu'ils ont commencé à préparer le film ils aient choisi une auto presque neuve plutôt qu'une qui avait déjà quelques années (cf la XA sedan qui était un vieux taxi en fin de vie, et les XB sedan qui étaient d'anciennes voitures de police). too bad the supercharger is just a fake one driven by an electric motor. absolutely awesome car but, an aussie icon even. 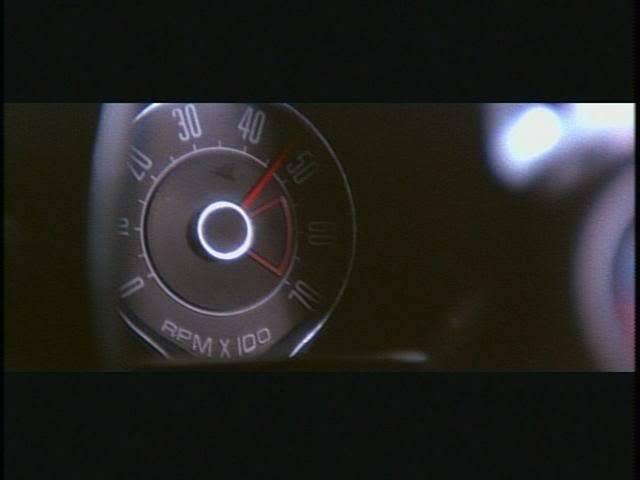 In the movie, how come Max switchees from his yellow Interceptor to this car? They "offer" him this car to convince him to not leave the MFP when his colleague was nearly killed. Delta Fox wrote In the movie, how come Max switchees from his yellow Interceptor to this car? 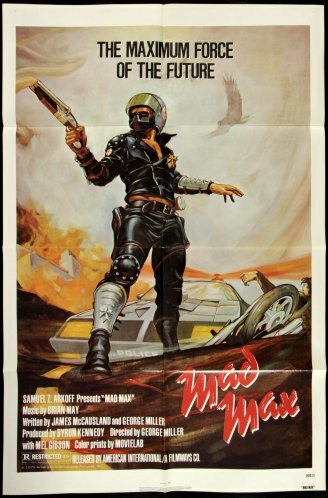 After his family is murdered, he goes Mad (hence the film title) and he steals this Interceptor to chase down the Toecutter and his gang. When I first saw this, I thought the car was a souped up Pontiac Trans Am. There's a cop up here near where i live (kingston,ny area) who imported an XB GT and built it with a full Weiand 6-71 setup. Absolutely insane. I wonder if the local fuzz will request that he "Go back to the garage and get that mad max car of his"
The film does mention Max stealing the Interceptor. During a closeup of him driving it, the woman on the police radio mentions the 'unauthorised use of an Interceptor'. This XB also features side exhaust pipe 'zoomies' as well as an Arcadipane Monza nose and spoiler, Cobra rear wing and flared wheel arches. Peter Arcadipane was originally a designer at Ford during the 70's and went on to produce his own design company and producer of his own bodykits. The wheels are painted Sunraysia items. Roadrunner wrote This XB also features side exhaust pipe 'zoomies' as well as an Arcadipane Monza nose and spoiler, Cobra rear wing and flared wheel arches. Peter Arcadipane was originally a designer at Ford during the 70's and went on to produce his own design company and producer of his own bodykits. The wheels are painted Sunraysia items. ....which was originally made for the Concorde Van, a styling excercise exhibited by Ford during the 70's. Back in the 70's through to the 80's 'vanning' was popular and people customized panel vans. One feature on the custom vans were bodykits (front spoiler and wheel arch flares) so in the late 70's Peter Arcadipane developed a bodykit for the Ford XC Falcon Panel van called the Concorde kit and the later changed the design for the coupe. The Concorde van bodykit was slightly different from the coupe front spoiler on the van spoiler the bumper was wider than the coupe and came with matching wheel arch flares. These days it is harder to find van pieces than the coupe. Aussie Pride, there were a few replicas made of this car i'd rekon id would be pretty hard to get your hands on one. hey it does kinda look like a 1970 souped up Trans Am with a different roof and side windows. n the second movie the didnt use this one they made 4 more to do stunts in, the four they got , they had to pull start them every time they need to use it cause they where so bugged, and in the ones they used they removed the bottom bumper cause you have a bit of problems driving a coupe in the desert that has a low bumper bar. butts wrote n the second movie the didnt use this one they made 4 more to do stunts in, the four they got , they had to pull start them every time they need to use it cause they where so bugged, and in the ones they used they removed the bottom bumper cause you have a bit of problems driving a coupe in the desert that has a low bumper bar. second movie reused the same car from this movie, and a second one was built (and ultimately rolled down the hill), not four (go read interceptor story at www.madmaxmovies.com). The lower airdam was removed for a more 'butchered' look. The original car is now in UK. Max stole it. The MFP dispatcher says so: "Code unspecified. We have a 'query/locate' on a black Pursuit Special: Unauthorized use by a Main Force officer. This is designated as a potential Code 3 Red Alert." The blower was NOT driven by an electric motor. Some guy built his replica with an electric motor-driven blower pulley and the story migrated to the original. 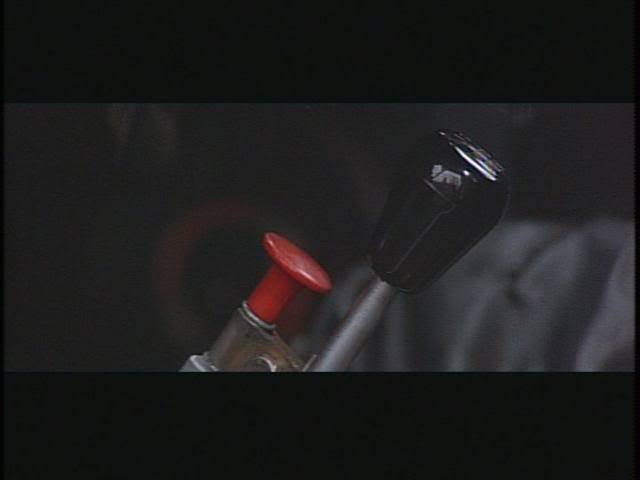 If you watch the blower start in the movie, it's obvious they're just starting the engine with the pulley connected. The concept of the high performance special purpose vehicle was heavily tested in the late 1970's when the CHP tested a small number (12 I believe) of Chevrolet Camaros as marked police vehicles. They were intended to make up for the lack of performance provided by police cruisers of the time. These special purpose vehicles were used to pursue and stop offenders. In the event that a subject was taken into custody, a standard cruiser could be called to the scene once the subject was stopped. This project, (The Special Purpose Vehicle Study) directly lead to the creation of the Ford Mustang SSP ("Severe Service Package", and later "Special Service Package") which was more comonly known as the Mustang Interceptor, which was in production from 1982 to 1993. Even before that, the Alabama State Police used a small number of AMC Javelins (1971-1972) as special purpose police units. The Javelin was used very much like the later CHP Camaros and Mustang "Interceptor" vehicles. That's just in the United States. I'd be interested to hear about any similar uses in Australia. Check out http://www.madmaxcars.com/ for full info on the PS and other cars. The blower WAS electric. They point out the plastic bucket over the electric motor that drove the pulley off a small water pump that was set up as an idler to run the fake blower. The site has pics of the car under construction and you can see the blower sits on a bracket over the carb. A Ford Falcon??? Really? It looks like a Ford Maverick to me. I wonder about the engine sound in the garage scene. When Barry starts up the car, you first hear the blower rev up, next the engine starts. When Max manually operates the throttle valve, he revs up the engine three times, but your hear the blower rev up only two times (I think you here the blower sound only in the Australian dub). And by the way: why does the engine stall by itself? You couldnt actually have an on/off toggle roots-type supercharger, because the design bypasses the standard air intake meaning that once the supercharger is disengaged there is no air going into the engine. Not in 1979, but today you can bypass and turn off a supercharger. Right. I thought it applied to all the roots-type blowers. I know you can engage and disengage electric ones. Anybody remember Mercedes 540K? Its supechargercould either be engaged manually for short periods, or automatically when the accelerator was pushed fully to the floor. Not in 1979, but in 1935. And, in fact it was in use even in twenties. Nightrider, youre commenting on the wrong car. The pursuit special you died in is a few rows down. It's not your fault, you're just plain stupid. Nightrider wrote It's not your fault, you're just plain stupid. This awesome iconic car is going to make a return in Mad Max Fyry Road but I don't think that you are going to like the new look Link to "www.madmaxmovies.com"
It is not the original Interceptor as you have shown here, CRAFT372. Are they trying to make a dark and gritty reboot? Because this isn't Batman. The first and second films are about as dark and gritty as you can get. This car owes some of its body lines to the 70 Ford Torino GT, especially in the C pillars and the trunk. Looks like they had the pail and the trouble light hidden at the electric motor for the fake blower. This car looks so much better with a modified front. Hey, calm down, dude. Mind your manners. If you treat people badly, they'll treat you the same way. Tell it to Gomselmash and 93Montero. train68 wrote If you treat people badly, they'll treat you the same way. ... unless you're a politician, in which case they re-elect you. ^Can you imagine any woman, who love 93Montero? Shhh, talking about him is like saying Beetlejuice. It's The feature car of the movie. It's the car, that made Ford Falcon world-famous.